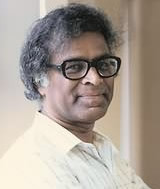 The late Anthony de Mello touched millions with a spiritual message that blended a philosophy of mindfulness often associated with Buddhism, his Catholic faith in God and cultural influences absorbed from his native India. Always with humor, he offered a bold explanation of the ways we deceive ourselves; and provided a healthy approach to finding a deeply satisfying life instead. De Mello became a Jesuit priest in his twenties, received a degree in pastoral counseling from Loyola University in Chicago and served as director of the Sadhana Institute of Pastoral Counseling in India until his sudden death of a heart attack at age 55. He believed we spend most of our lives sleepwalking and exhorted listeners at his highly popular retreats to “Wake up!” He is author of the spiritual classic The Way to Love among other books. We present the colorful de Mello recorded at one retreat, at Fordham University in New York, shortly before his death. Also heard are comments of University of London theologian Michael Barnes, who has studied de Mello’s teaching. Counting Martin Luther King Jr. among his disciples, Rev. Howard Thurman stamped his spiritual influence on an entire generation. The value of “philosophical” inquiry as a method of self-understanding is articulated by Jacob Needleman, author of “The New Religions” and other books. The story of a man who spent 26 years behind bars for opposing South Africa’s apartheid system and who, after release, became a member of Parliament calling for forgiveness as the way to heal racial wounds. A spiritual intimacy comes through in these warm remarks by Br. David Steindl-Rast, a Benedictine monk.